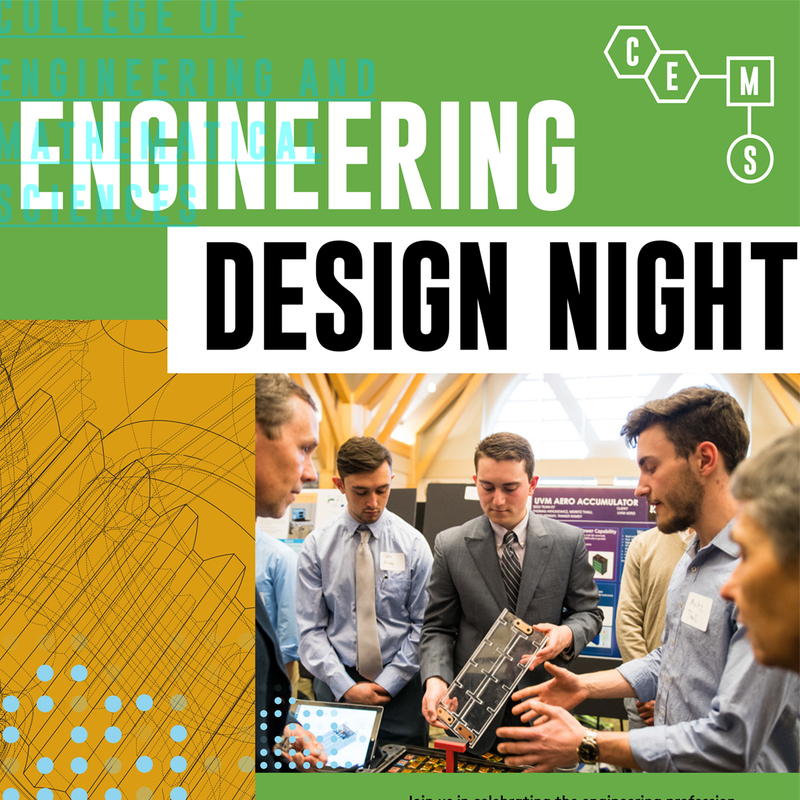 The culminating experience for senior Engineering students at UVM is conducting a major team-based design project. From a company's perspective, a SEED project offers the opportunity to work directly with senior engineering students, take a fresh look at a long standing problem or explore new ideas for their company. Students are eager to engage in engineering practice as preparation for work in industry and to apply the theory they have been learning in school. Course material related to design project fundamentals and the involvement of industry contacts add to the students education and strengthens links between industry and Engineering at UVM. For more details about the ME & BME SEED programs or how to participate go to the SEED page. Our Civil Engineering (CE) and Environmental Engineering (EnvE) graduates have a multi-disciplinary, senior design experience in their final year. Currently, it is an intense 30-week long experience. For the past six years, almost all of the capstone projects have been service-learning projects where students work with local communities, towns and non-profits on their Civil and/or Environmental Engineering related needs. We select projects that offer a solid design experience and at the same time promote sustainability and civic engagement. For each project, students consider multiple design alternatives and suggest recommendations based on costs and social and environmental impacts. They write comprehensive technical reports and make presentations to external evaluators, faculty, fellow students and community partners. For more details about the CE & EnvE program or how to participate go to the CEnvE page.